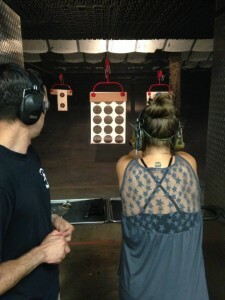 Jim’s Indoor Range is a public indoor shooting facility located just north of the Skibo Rd and Yadkin Rd intersection. Our Indoor Range offers 12 shooting stall with a shooting distance of 25 yards and the ability of firing all pistol caliber ammunition. Our indoor rifle range is now open! 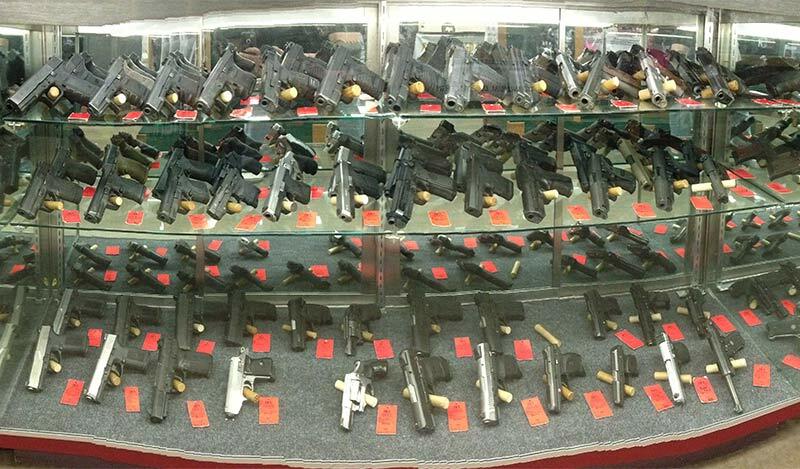 At Jim’s we offer a wide selection of merchandise to fit your shooting needs. Some of the brands that we have in stock are: Peltor, Thompson Targets, Voodoo Tactical, Southern 1 Tactical, and HSM. We require patrons of Jim’s Indoor Range to fill out and sign our range rules and liability waiver form each and every time that they utilize our facility. Wednesdays are Ladies day. Ladies come on out and enjoy a day of free range time. Thursdays are Couples Day. 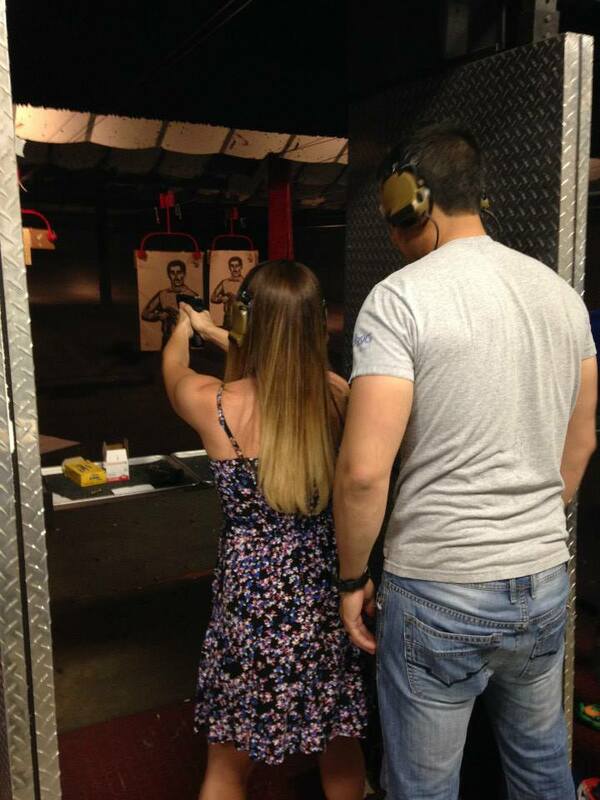 Couples shoot 2 for the price of one, and receive a free target. In addition Luigi’s, Mac’s Speed Shop, and Orchid Garden are offering deals on their appetizers to make your date complete.